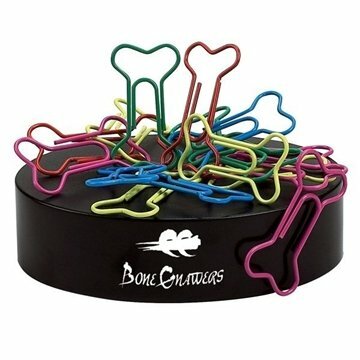 Choose Your Style Of 20 Paperclips To Go Along With Your Choice Of White Or Black Magnetic Base. If Not Stated On Order Factory Will Choose Most Appropriate Color. Sculpt Your Clipsters For Endless Fun. Magnetic Base Also Doubles As A Paper Weight. I bought this to give to team members as a small "thank you" for all they do. Great gift for servers, managers, housekeepers, maintenance staff. The feedback from employees continues to be excellent! And in reality, their opinion is the only one that matters. the quality is good for the price. The gift box is a nice touch. the thing I liked most about the product is that it looked exactly like the proof, that was unexpected, I've dealt with emailed proofs before. the ordering process was easy, and the turnaround time was quick. they always have the little extras that makes you coming back for them each year. They're fantastic. the product looked great...very professional and durable. We loved the product.